My house is NOT empty this week; it is FULL, FULL, FULL! Both of my daughters are visiting from New York and New Mexico, and thus my heart is full, too. 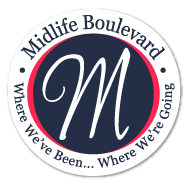 That means my post for the Midlife Boulevard Blog Hop will be uncharacteristically short. Lucky you, my lovely readers! A fall recipe Blog Hop is irresistible and appropriate for me to take a moment to participate in, however, because our favorite thing to do together is eat and talk around the family table. While my daughters aren’t gluten free and dairy free, my husband, son and I are. Finding recipes everyone enjoys can be a challenge, which often means my kitchen does double, sometimes triple duty. A short-order cook this momma is not, but something I always enjoy doing for my daughters when they’re around is making their favorite soups. Soup is one of the easiest things to prepare to meet everyone’s needs. My oldest daughter and I are the only ones who enjoy squash in the family, so an excuse is welcome to prepare and post for the Blog Hop today, my original recipe for Thai Butternut Bisque. For my step-daughter and for my son (who is beyond thrilled to have this precious time with both of his sisters—and he doesn’t even have to share them with their husbands!) this week, my Feel Better Soup will be in order. My wish for each of you is time with your loved-ones around a table laden with your favorite fall soup. Spray large sheet pan with non-stick spray. Place quartered and seeded squash on it, season to taste with salt, white pepper and drizzle with olive oil. You may wish to rinse, pat dry and roast the seeds. Season them with salt, pepper and a bit of cumin powder and just coat with olive oil. Roast with the squash but on a separate pan, approximately 10-15 minutes or until lightly browned. Continue to roast squash for an hour, or until easily pierced with fork. Allow squash to cool enough to handle, scrape out flesh with large spoon and reserve. Discard skin. In large sauce pan or dutch oven over medium heat, saute' shallots and onions two minutes in a drizzle of olive oil, then add the minced ginger. Continue to saute' until softened and translucent. Do not allow to dry out, adding a good tablespoon butter or vegan alternative to keep the mixture moist and to keep it from browning. Add your squash, 4 cups of the chicken stock, lime juice, cumin, and cayenne pepper. Bring to a light boil, stirring and breaking up the squash with a wooden spoon. Turn down heat and allow to simmer lightly, 10-15 minutes. With an immersion blender (or in small batches using your regular blender), puree until smooth. Return to pan, stir in the can of coconut milk and as much of the 5th cup of chicken stock as you need to achieve the desired consistency. Continue to cook for a few minutes more, or until the coconut milk is well incorporated. Add salt and white pepper to taste. Serve as a first course, topped with fresh chopped cilantro and the toasted squash seeds, if desired. Also nice with a dollop of sour cream, Crème fraîche or greek or strained goat yogurt. Thin it down slightly, and you may enjoy it as an alternative pasta sauce over penne or ravioli, as well.